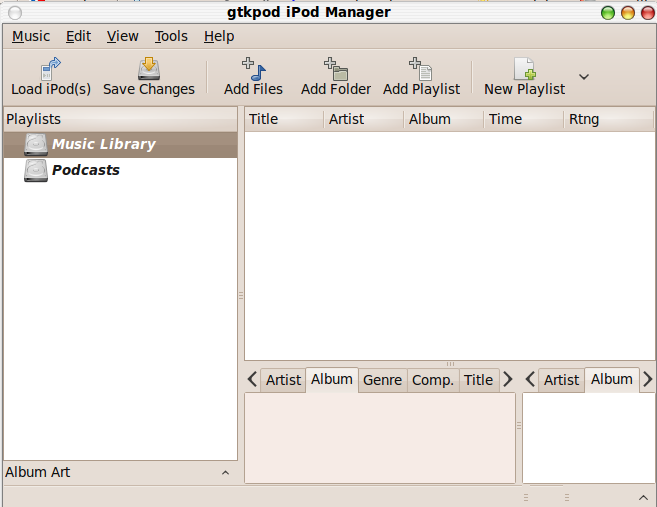 Gtkpod iPod manager is a platform independent GUI for Apple iPod which is equivalent to iTunes.It supports iPod, iPod nano, iPod shuffle, iPod photo, and iPod mini,allows you upload songs and playlists to your iPod and supports ID3 tag editing, multiple charsets for ID3 tags, detects duplicate songs, allows offline modification of the database with later synchronisation, and more. 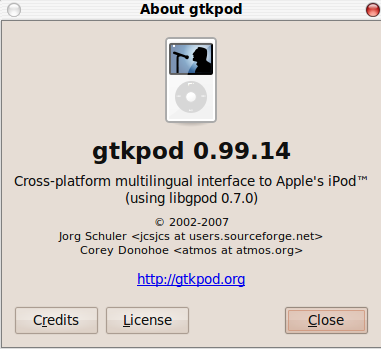 Gtkpod is available from ubuntu repository. For ubuntu karmic,just search ‘gtkpod'(without quotes) in Applications->Ubuntu Software Center and click to install. For old versions,go to Applicatons->Add&Remove....In the “Show” drop-down menu,select “All available applications” and search gtkpod. 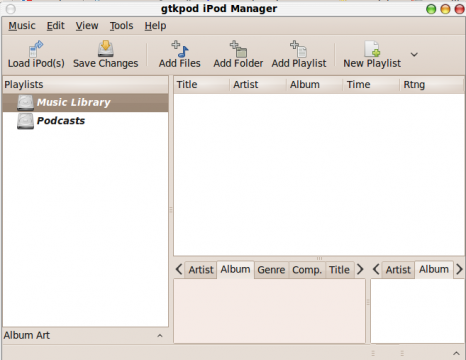 No user responded in " Manager music and video on an Apple iPod using gtkpod "